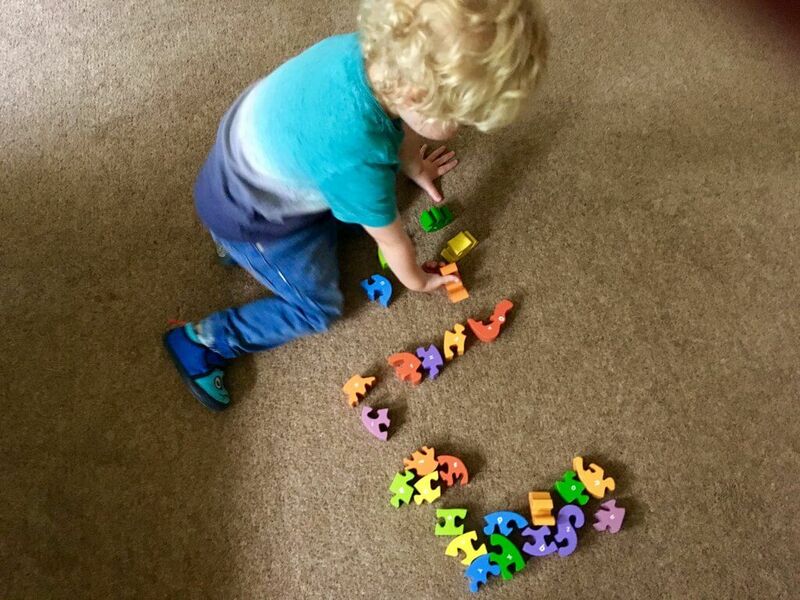 Lucas was recently sent* an Alphabet Snake from SRI Toys to review and just from opening it, I loved it. There is something about wooden toys, the simplicity of them, the bright colours they have painted on them, the timelessness. Wooden toys don’t go out of fashion, we go to my Grandma’s on a regular basis and Lucas plays with toys that my cousins used to. The plastic ones look dated, they work but they are worn looking. The wooden ones look like they could have been bought last month, yes, they are obviously worn but they are still looking very much on trend for the toy world. I love that they require some thinking or imaginative play. They aren’t full of lights and distracting noises that can over stimulate. Obviously, I’m not saying that we are only going to use wooden toys, I think there is plenty of space for wooden and plastic and they each have their own merits. 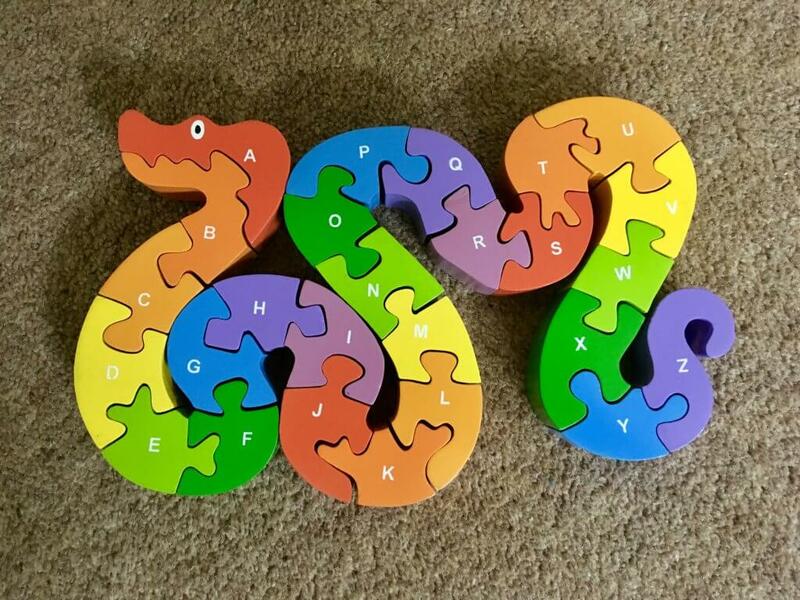 I am really impressed with the Alphabet Snake and wanted to know more about the company so after having a nosy, I found that SRI Toys only supply wooden toys. All of them are handmade and cut from natural, sustainable and biodegradable rubber wood, by skilled craftsmen and fair employment standards. The Alphabet Snake that they sent us is beautifully bright to promote visual awareness. The different colours and the shapes enable Lucas to match the shapes, judge distance and make colour distinction. 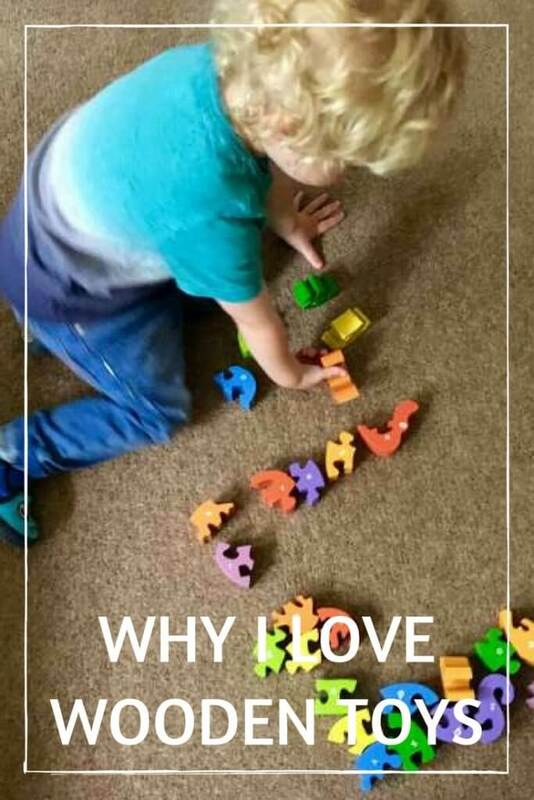 It can be used for independent play to encourage confidence and also in co-operative play where interaction with others teaches him to learn social skills such as sharing, playing together and learning together. 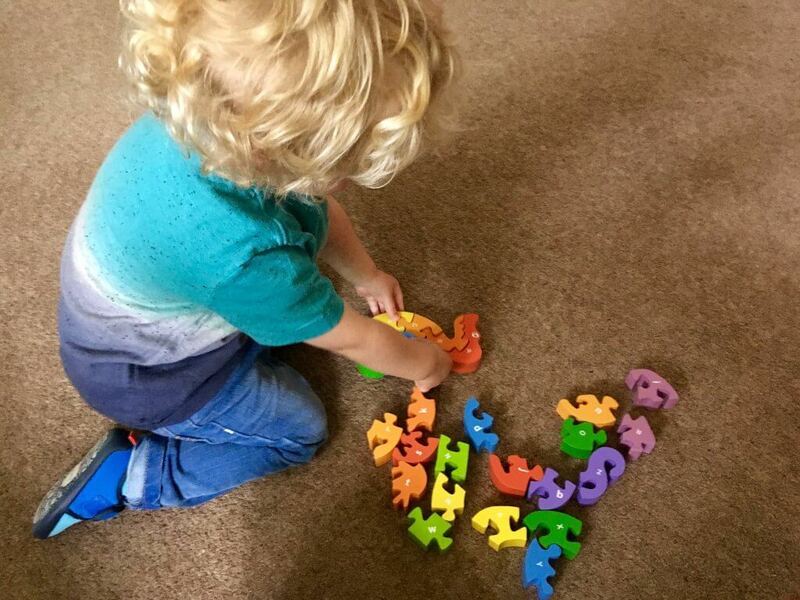 It is a fun way to learn the alphabet whilst improving hand dexterity. Each puzzle piece shows the upper-case letter on one side and the lower-case letter on the other so it can be completed either way. Each piece smoothly fits together so that the puzzle can only be solved in the correct order. I love wooden toys! and ever since my second child was 2 we have been slowly replacing our plastic toys. This looks fab! and great for any preschooler. Loving this alphabet snake! It’s the perfect preschool/primary school toy – something I think I’ll look into for my daughter. Thanks! When Fred was young we also loved him playing with wooden toys, in fact all of these we have kept for when we have grandkids (I have much older step kids – so its not that weird!!) as they are such great quality and the kids just go ad for them. We didn’t have this snake but lots of similar products. I love wooden toys. They seem to last so much longer than plastic toys, and I love that they can be made from sustainable wood too. I love buying wooden toys for MTV kids because it reminds me of my own childhood. Likes you said, wooden toys let kids use their imaginations and I think it’s so much better for their development than most toys on the market today. That’s why I love wooden toys! Since my first born until my last I buy wooden toys and the alphabet was perfect for them.